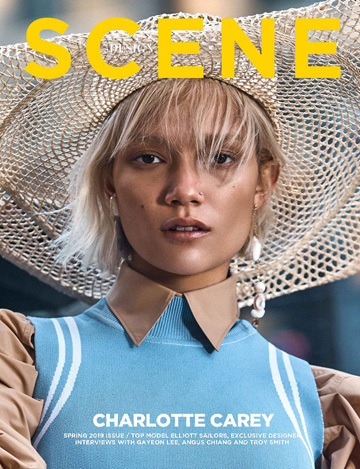 Fashion photography duo Chuando & Frey capture superb cover story for our D’SCENE Magazine‘s Winter 2015 issue featuring supermodel Jarrod Scott. In charge of styling was Gregory Wein with grooming by Benjamin Thigpen at ABTP using Oribe and Lab Series for Men. Grooming assistance by Yanni. For The Performer session Australian supermodel is wearing pieces from the likes of Rufskin, Schott NYC, The Leather Man, Charlie by Matthew Zink, Frye, Saint Laurent Paris, Dolce & Gabbana, Asaf Ganot, and Gold Toe.